Outside of Brazil, “UFC 147: Silva vs. Franklin II” is being met with little to no fanfare. Thankfully, the Gambling Gods know exactly how to make things a tad more interesting. 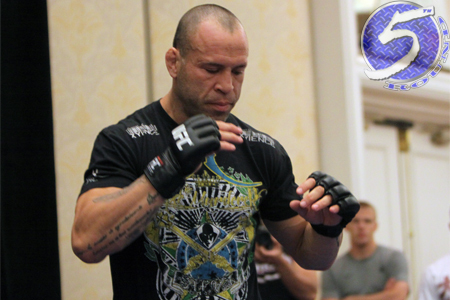 A 190-pound catchweight contest between Wanderlei Silva (Pictured) and Rich Franklin headlines tonight’s pay-per-view broadcast. Franklin is nearly a 2-to-1 odds-on favorite to score his second win over “The Axe Murderer.” Silva, meanwhile, checks in just behind as a +145 underdog. The former middleweight champion hung a close unanimous decision win over Silva at UFC 99 in June 2009. Mineirinho Arena in Belo Horizonte, Minas Gerais, Brazil hosts Saturday’s fiesta.